Review: It’s always a funny thing to me when a well-respected foreign film gets remade for US audiences. The US versions are frequently inferior, often lacking the risk taking afforded by films produced outside of the Hollywood system that’s more concerned with overall mass marketability than transferring the themes and ideas of its inspiration to American audiences. So it’s no big shock that this North American remake of the South American thriller El Secreto de sus ojos doesn’t quite hit the same kind of riveting bullseye that propelled the original to be a surprise Best Foreign Film winner at the 2009 Academy Awards. Based on a Spanish novel, the original film was a dark tale taking place in two different time periods with the same brutal murder the central focus of each. 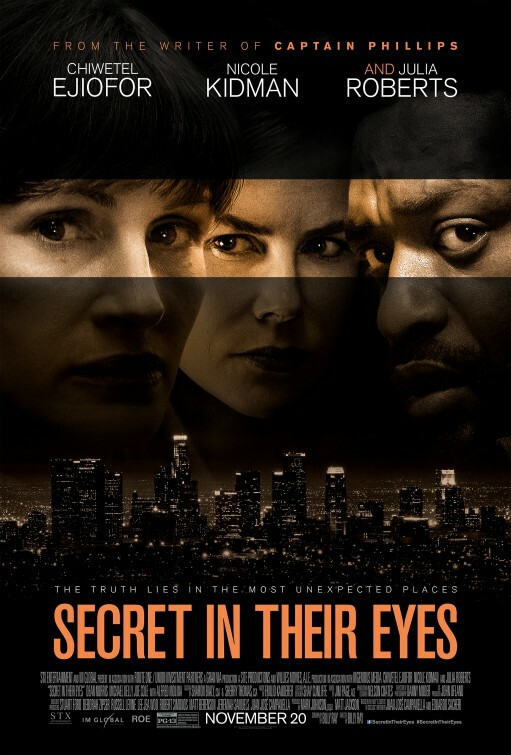 Originally intended to feature Denzel Washington, Gwyneth Paltrow, and Julia Roberts when the remake took shape back in 2011, it would be another four years for Secret in their Eyes to finally see the light of day and by the time cameras were ready to roll Washington and Paltrow were out and Chiwetel Ejiofor and Nicole Kidman were in. In some ways, the extra time and casting shake-up might have helped the film overall because by putting some distance between the original and altering the structure of its trio of leads (not to mention changing the gender completely of one character) I felt the movie was able to stand on its own quite capably. In present day 2015, Ejiofor (12 Years a Slave) is a former cop now working in private security for a NY baseball team that’s been haunted by a murder investigation involving his former partner (Robets, August: Osage County) 13 years earlier. Thinking he’s stumbled upon a fresh lead for the case long since considered closed, he returns to California in hopes that his ally in the justice system (Kidman, Stoker) will re-open the case based on the new evidence. All three players reunite early on and though they’ve taken different paths in the ensuing years, the lasting effect of this case clearly still holds something over them. Roberts’ only child was the murder victim, found in a dumpster next to a mosque under investigation by the counter-terrorist unit she and Ejiofor are assigned to. Kidman was the young District Attorney supervisor new to her job that quickly gets in over her head with her colleagues when she strays too close to slicing through some political red tape involving her boss (a smarmy Alfred Molina, Monsters University). Writer/director Billy Ray (Oscar nominated for his script for Captain Phillips and a helluva long way from his first script, the lurid Color of Night from 1994) adds some interesting hints of police corruption, but then again the past storyline is set in 2002 when the country was still reeling from the 9/11 attacks and law enforcement officials were tasked with getting answers no matter the cost. At first, I felt that complexity took away some of the forward momentum of the case but Ray manages to tie it together nicely. 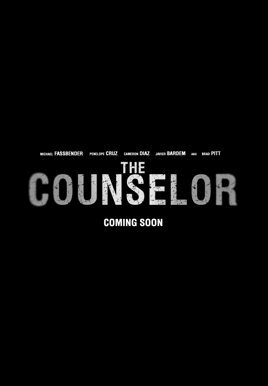 This seems like a passion project for Roberts (her husband was the cinematographer) and to her credit she dives head first into the mix as a woman preoccupied by the death of her daughter, riding the fine line between wanting justice and wanting vengeance…something the film makes very clear are two different things. One character describes Roberts as looking “a million years old” and without a stich of make-up on Roberts is far away from the glamorous beauty that graces magazine covers. Yet it never feels false, like she’s trying to be something she doesn’t have somewhere deep inside. Roberts has to go to some dark places and she’s never anything but totally convincing with her pursed lips and tightly wound demeanor. Ejiofor and Kidman have a trickier road to travel, nimbly working with the overt hints at a brewing romance rekindled as they work together to piece together the clues that might lead them to a killer. Ejiofor favors overzealous reactions that feel showy but gets grounded when opposite Kidman with whom he has intriguing chemistry. Kidman has the grace and poise to pull off the character and perhaps more than anyone feels like a wholly changed person in the present day sequences. Viewers are advised to pay close attention to the time shifts because they can be confusing. The best advice I can offer is to keep your eye on Kidman’s hair which is long in the past and short in the present. The movie doesn’t always make it clear when action is taking place and at my screening several people were confused at the timeline of events. The Spanish film had a whopper of a sequence set in a soccer stadium that starts as an approaching aerial shot then journeying into the stands before following a breathless chase between officer and suspect. Seemingly captured in one long shot (it’s likely impossible but I can’t tell where the cuts happen) it alone was Oscar worthy in its execution. Changing the sport from soccer to baseball, the remake doesn’t even try to attempt to recreate this, but the edge-of-your-seat chase still gets the job done. It’s a tough film for all the right reasons. I won’t reveal if the real killer is ever identified or how it wraps itself up but I had forgotten some of the details of how the original film ended, leaving me to discover the fine finale all over again. I still think remakes are ill-advised, but once in a while one slips through that’s able to capitalize on why its inspiration was worthy of a Hollywood effort. Synopsis: A look at the sexual frustrations that young teenagers and adults face in today’s world. Thoughts: Earlier in 2014 Jason Reitman had what some consider his first real stumble with the coolly received Labor Day. I was one of the few that seemed to absolve it from its awkward assembly and languid pacing because it’s clear that Reitman is a filmmaker that knows exactly what he’s doing and what he wants to say. With October’s Men, Women & Children, Reitman is taking a page from the American Beauty experience and digging under the perfect veneer of a suburbia and its inhabitants. 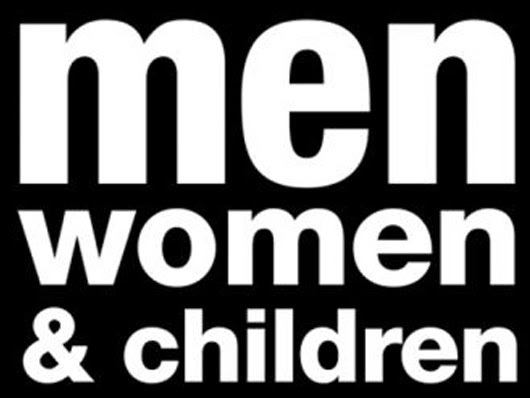 With its tantalizing images played over a silky update of Donna Summer’s “I Feel Love”, I get the feeling Men, Women & Children has the potential to truly put Reitman on the A list if handled correctly.